We provide the most comprehensive database of short sale properties, foreclosure properties & bank owned properties in the greater Los Angeles area. Search by map to see the entire inventory of short sale and REO properties available in each area or type in a city or zip code in the search field. A short sale is a sale of real estate in which the proceeds from selling the property will fall short of the balance of debts secured by liens against the property and the property owner cannot afford to repay the liens' full amounts, whereby the lien holders agree to release their lien on the real estate and accept less than the amount owed on the debt. A short sale is often used as an alternative to foreclosure because it mitigates additional fees and costs to both the creditor and borrower. While credit is also typically damaged much less than from a foreclosure, both often result in a negative credit report against the property owner. Any unpaid balance owed to the creditors is known as a deficiency. What Can ShortSense Do For You? 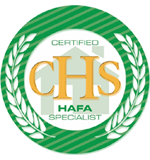 We have helped numerous homeowners, and we can help you as well. Don't trust your home Short Sale with just any Real Estate Agent! You may only have one shot at this, and there is a lot riding on the successful negotiations with your Bank and subsequent sale of your Home. We've been working in the real estate industry with Short Sales, Foreclosures and Bank Owned properties since 1994. We've negotiated with many Banks and Savings & Loans officers to reduce loan balances or postpone foreclosures, or to re-structure loans on behalf of the home owner. Short Sales are the most complex of all residential real estate transactions. In order to sell and close short sales with a high rate of success, and to also represent the property owners best interests, a homeowner should only work with an experienced and dedicated short sale team. Before you decide to list your home for sale, or pay upfront fees for a Loan Modification or Foreclosure consultation, contact us-- you will be glad you did. If you are looking for California Short Sales then you are in the right place! Let our experts help you sell or buy short sales in California. © 2009-2019 ZARA Equity Corp.
La Canada Flintridge Short Sales. Marina Del Rey Short Sales. Mission Hills San Fernando Foreclosures. Mission Hills San Fernando Short Sales. Playa Del Rey Short Sales. San Fernando Valley Short Sales. West Los Angeles Short Sales. Westwood - Century City Foreclosures. Westwood - Century City Short Sales.